James Frain is an eminent actor of the present time. He is best recognized for his role, Theo Galavan/Azrael in the wide renown television series, Gotham. In the same way, he is also known for his works on the popular cable TV shows, True Blood, and the Tudors. James Dominic Frain was born on March 14, 1968, in Leeds, West Riding of Yorkshire to a teacher mother and stockbroker, father. Regarding the nationality of this eldest of eight children, he is British and belongs to white ethnicity. 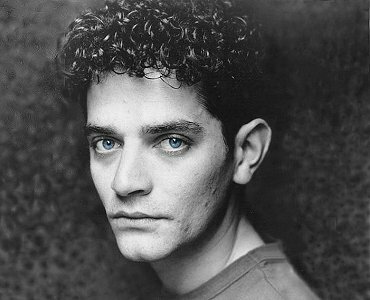 Talented actor James Frain young photo. Frain is a graduate of the Newport Free Grammar School and the University of East Anglia. At Anglia, he studied Film and Drama. After that, he got trained as an actor at the Central School of Speech and Drama in London. At that time, he was spotted by filmmaker, Sir Richard Attenborough who cast him in his film Shadowlands. Likewise, in the same year, he appeared in the television series, Prime Suspect: Series 3, as a role of Jason Baldwin. So far, James has made an appearance in the several television series and movies. Some of them are listed below. James starred in the second season of popular series, Gotham as a role of Azrael. Recently, he has made an appearance in the television series, Star Trek: Discovery as a role of Sarek. Talented Frain is happily married to his wife, Marta Cunningham since 2004. His spouse is also an Emmy nominated director. The husband and wife have two children from their relationship. 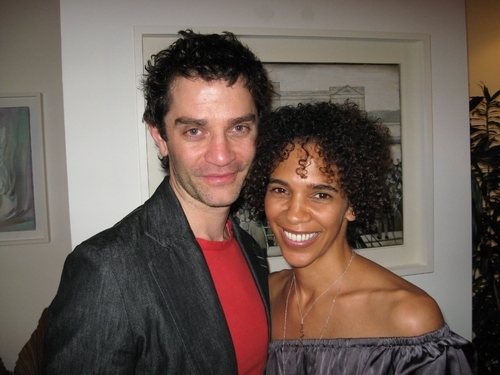 English White actor, James Frain and his wife, Marta Cunningham. The duo has maintained their relationship very strong as till there has not been any serious conflict between them. Neither there is any sign of getting a divorce. The couple is busy with their career and both of them have kept themselves away from the external affairs. The talented personality, Frain makes a good money from his acting professions. Besides acting, he is also an amateur artist. As of 2017, his net worth is estimated at around $3 million.